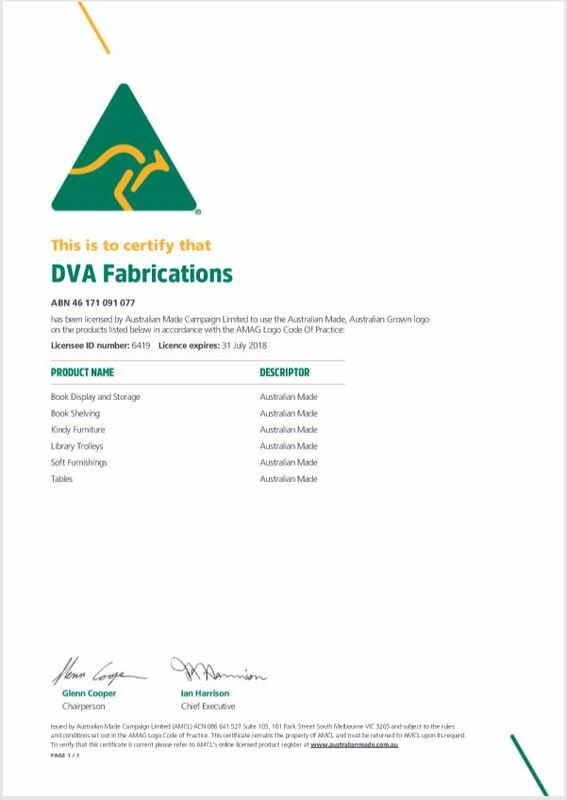 DVA Fabrications is proud to be certified under the Australian Made Campaign. We are currently producing the majority of our product range either in our factory or using WA companies. We endeavour to use locally sourced and manufactured raw materials wherever possible. Having the ability and expertise to produce a local product allows our customers choice of colours and sizes that meet their individual requirements. In producing our own products we are in full control our quality control procedures and this is one of the main reasons DVA is known for exceptional quality and service in the industry.